Pacific Northwest. I waited by the canal for this couple to come out. 1/320, ISO-1600, f/9 on tripod. Please click on the image for uncompressed view, thank you. 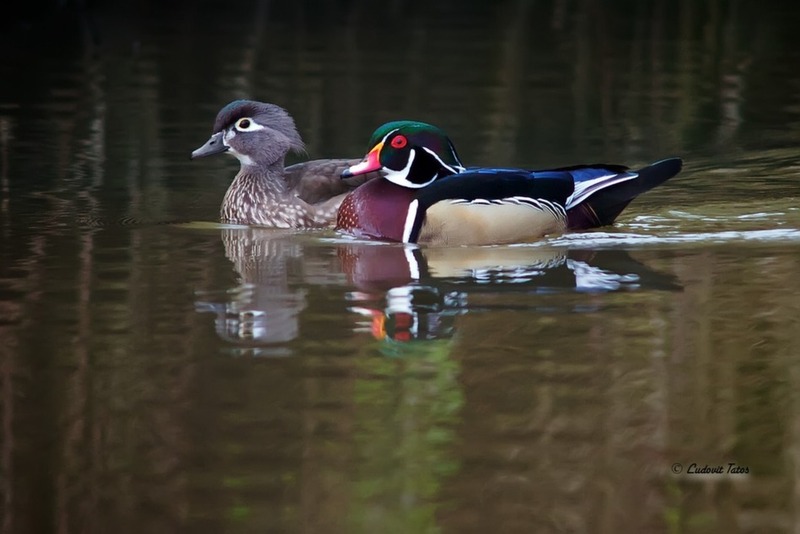 A handsome pair of Wood Ducks, Ludo. Beautiful soft lighting and nice saturated color. Well done! Nice couple, well done, Ludo. Gorgeous pair Ludo. Love the rich colours. You keep pulling them out of the hat! A very sweet pair- nicely placed together with pretty reflections. Love seeing these "couples" this time of year. Nice exposure for such a dark day! Beautiful view of this good looking couple, Ludo!